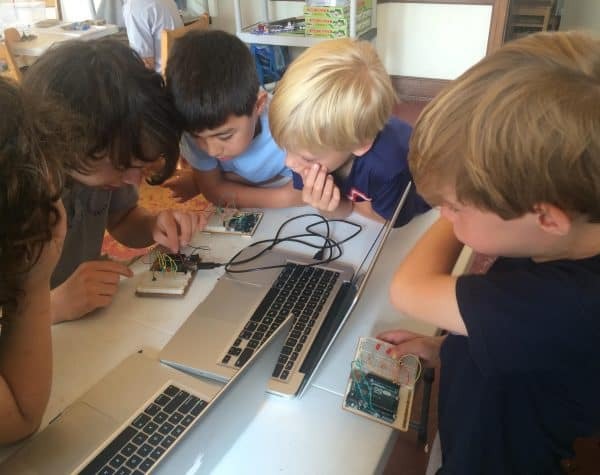 Maker Lab is our program for kids who love to tinker, design, build, and create. Maker Lab brings together courses drawn from various hands-on and maker technologies. The focus is on IT-related subjects, as each of the courses incorporates digital technologies into its various activities and projects. How do the maker lab courses work? At Montclair Learning Center, month-long courses are given that each meet once a week. Over the summer our staff run similar week-long courses that meet for an hour each day. MLC currently offers Maker Lab courses in Arduino, K’NEX, and Snap Circuits. K’NEX is the general name for a series of different STEM educational sets. These construction sets let students build, test, and operate different STEM models and projects, from machines and structures to renewable energy and other technologies. These sets enable students first to work on existing blueprints and invent devising new projects. 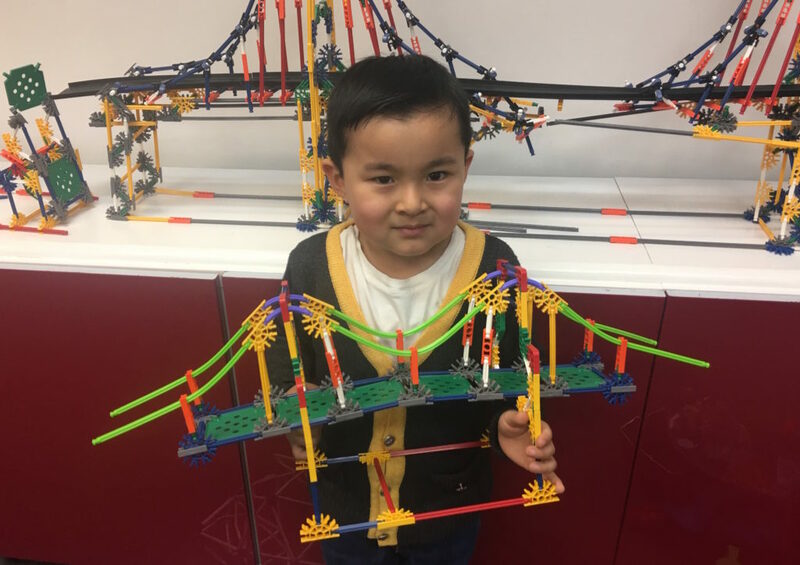 MLC offers a rotating series of K’NEX courses with different themes each month. Students can take our K’NEX courses as many times as desired, as each time they explore and learn about a different STEM topic. Arduino refers to a newly developed type of electronics kit that incorporates microcontrollers and related accessories. These kits enable students to connect computers, sensors, and output devices to create interactive objects that can sense and control things in the real world. Snaps Circuits is the name of a set of educational electronics kits. These kits employ snap-together parts and base boards that let kids build such exciting and challenging projects as AM radios, various alarms, motors, lamps, and more. In our Snap Circuits course students learn the basics of electronics while conducting hands-on experiments with different Snap Circuits kits and components. Students progress through our Snap Circuits curriculum at their own speed. Students can take our Snap Circuits course as many times as desired, as each session there are separate sections for new and returning students.